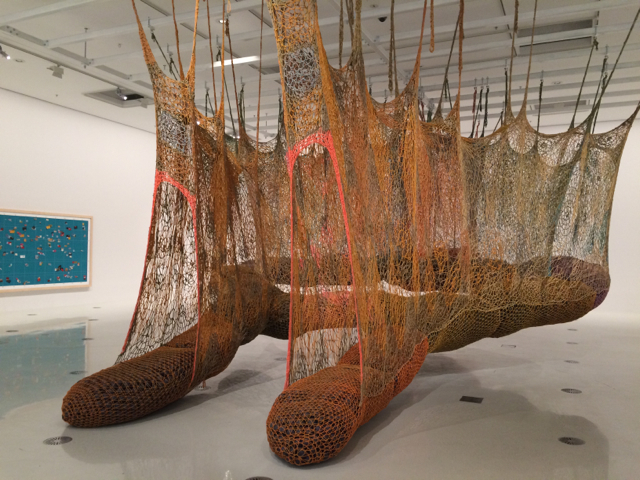 Checkout 'The Island Bird' by Ernesto Neto at the NGV International next time you are in town. Little ones will love climbing and playing in this interesting structure. Ernesto Neto is a contemporary visual artist from Brazil who is renowned for his large scale installations & sculptures that visitors can touch, poke and walk on or through. Little Miss was a bit scared to climb onto the structure at first but with the help of her father and holding onto the net she became more confident and walked through by herself and loved it. The structure feels weird to step on but it is a very interesting concept that one can appreciate, children especially.